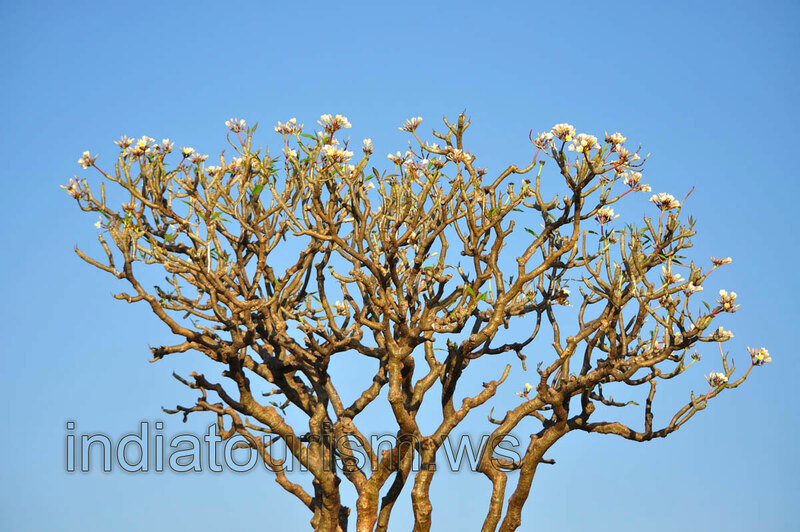 On the top of Anjanadri hill, where the Monkey temple is located, huge pachypodium plants grow. This is one of them. It is so beautiful, when there are no leaves on the tree, but flowers are present!